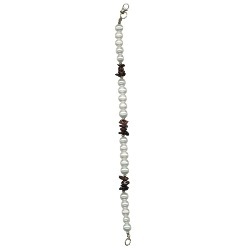 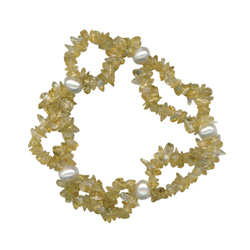 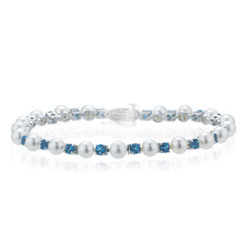 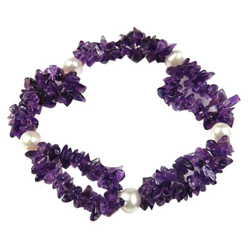 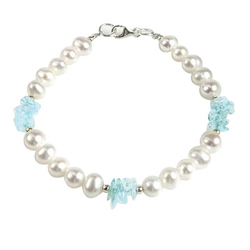 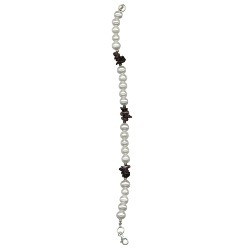 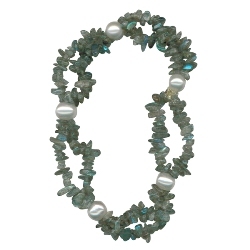 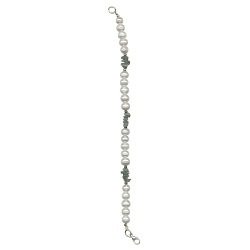 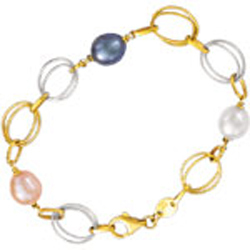 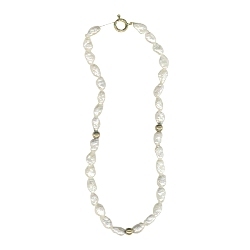 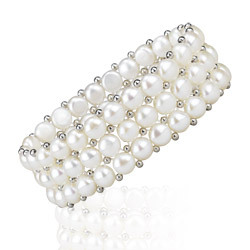 We have an exceptional appealing and grand collections of Pearl Bracelets with their snazzy and ravishing looks. 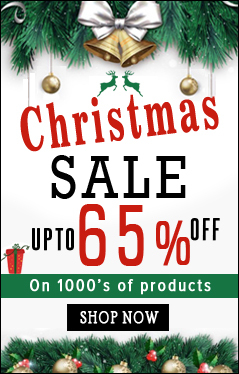 Available in different colors from Fresh water, Akoya, Tahitian, and South Sea of premium quality designed by our team of experienced craftsman. 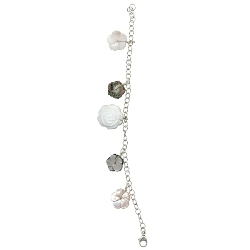 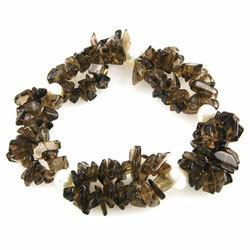 Adorn your wrist from our unique collections within your budget. 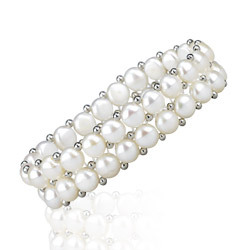 Pearls have hues in the range of white, pink, gold, green, purple and black. 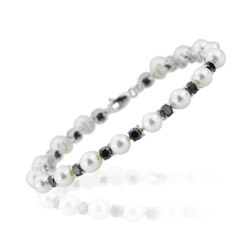 The black color Pearl is due to the presence of Conchiolin. 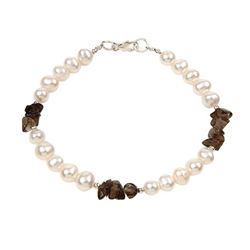 It contains melanin and hence darkens the color of the Pearl. 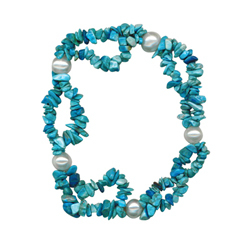 Sometimes, the chemicals in the water also alter the color of the Pearls.